Winter is the perfect time to see China’s mist-shrouded Yangtze River while taking advantage of steep discounts on Victoria Cruises’ (http://www.victoriacruises.com) popular Three Gorges Highlights program with 4- and 5-day sailings departing every Thursday and Sunday, respectively, in January and February 2012. Discounted rates start at $470 per person, based on double occupancy, for a superior stateroom with private balcony. Executive Suites (pictured right) – which feature upgraded accommodations and ship placement along with VIP amenities such as “white glove” concierge service, access to exclusive ship areas, à la carte meal service, private cultural lectures and reserved seating for evening entertainment – start at $870 per person, based on double occupancy, throughout January and February 2012. Additionally, Victoria Cruises will be offering four special Chinese New Year celebratory cruises departing January 23, 24, 26 and 27. A $150 per person surcharge will be applied for passengers on these four departures. In addition to spectacular views of centuries-old pagodas nestled along the Yangtze and a scenic passage through the famous Three Gorges, a one-time shore excursion fee of $65 per person (inclusive of all excursions) provides guests with an educational visit to the massive Three Gorges Dam as well as unforgettable sightseeing at the “Ghost City” of Fengdu (pictured right). Also included in the shore excursion package, an incredible sailing experience through the Small Gorges of the Daning River – one of the Yangtze’s tributaries – culminates with a tranquil sampan journey through the “Mini Gorges” of the Ma Du River, itself a tributary of the Daning. Guests can also participate in an optional shore excursion to White Emperor City (pictured right), overlooking the western end of Qutang Gorge. According to legend, in 25 A.D. white vapor rose from a well to form the shape of a dragon, and Gong Sunshu, a soldier who had been headquartered there, declared himself the “White Emperor.” Remains of the city wall can be seen on the hill behind Baidi Mountain, and a temple built to commemorate Gong’s reign dates back more than 1,950 years and has long been a refuge for would-be kings and poets who have traveled there to be inspired by the breathtaking views. The optional White Emperor City shore excursion is available this winter for an additional $38 per guest. Passengers can also participate in exciting onboard activities such as Tai Chi lessons, demonstrations of acupuncture/acupressure and discussions on the Yangtze’s history. 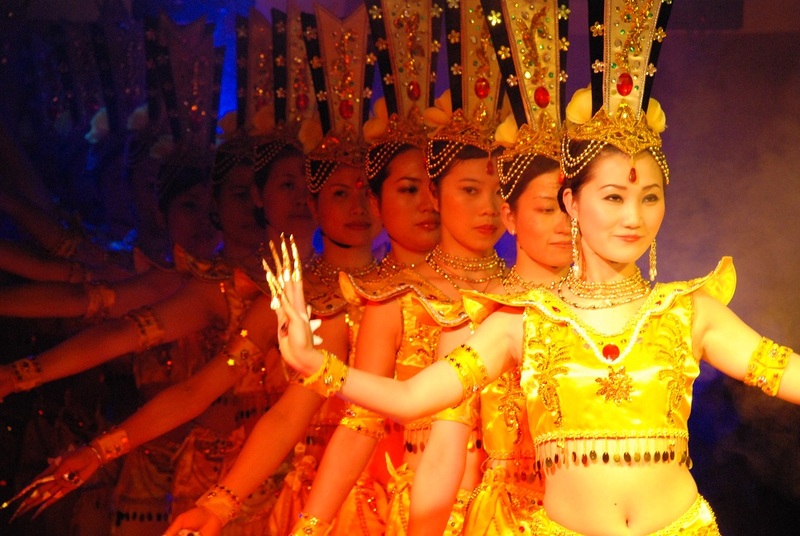 Nightly entertainment options include traditional Chinese dance and musical performances (pictured below). Based in New York, Victoria Cruises established new standards of excellence for sailing China’s Yangtze River when its first ship edged out of port in 1994. Since that time, Victoria Cruises has achieved tremendous success by introducing the majesty of the Yangtze River to travelers worldwide. 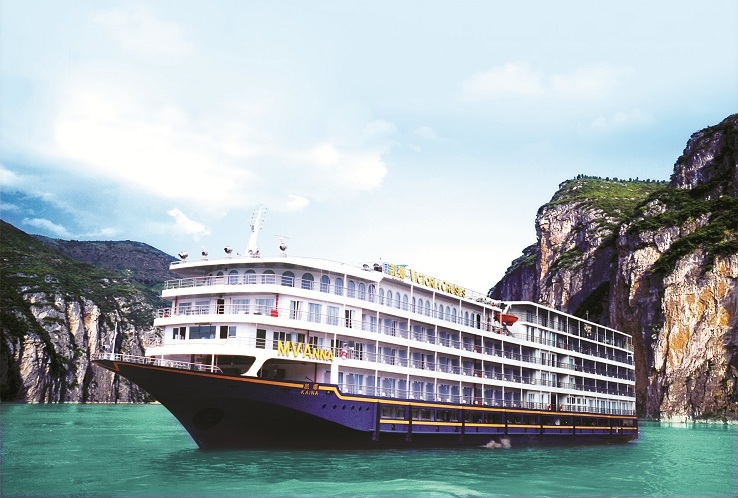 A true pioneer and innovator, Victoria Cruises delivers an unrivaled and unsurpassed Yangtze River experience. An American-managed company, Victoria Cruises operates the largest fleet of vessels with the coveted five-star rating from the China National Tourism Administration. Victoria Cruises offers a variety of itineraries varying from four to nine days including Grand Yangtze Discovery, Three Gorges Highlights and Three Gorges Explorer. Victoria Cruises has earned numerous awards and recognitions over the years and has most recently received the 2011 TravelAge West WAVE Award Editor’s Pick for Best River Cruise Line as well as Best New River Cruise Ship in 2010 with the launch of the luxurious Victoria Jenna. Travel Weekly also recently selected the Victoria Jenna as a Silver Award Winner for the Magellan Awards’ River Cruise Ship category. China’s magnificent Yangtze River continues to awe and inspire and Victoria Cruises remains the finest guide for the journey. For more information and a free color brochure or promotional DVD, contact Victoria Cruises at 57-08 39th Avenue, Woodside, NY 11377; phone (800) 348-8084, (212) 818-1680; fax (212) 818-9889. Send e-mail to contact@victoriacruises.com or visit http://www.victoriacruises.com.